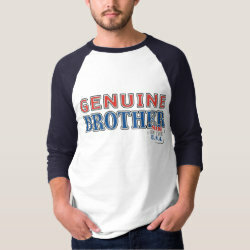 Home > Brother Gifts	> Genuine Brother: Made in the U.S.A. 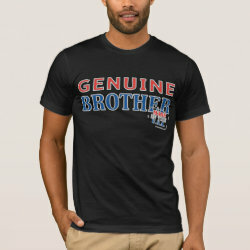 This original patriotic design reads GENUINE BROTHER in bold red, white and blue text. Underneath it is stamped MADE IN U.S.A. 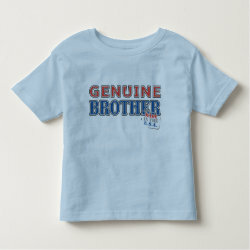 This makes a fun and More... original present for your brother! 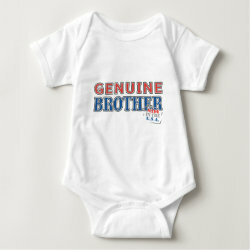 This cute gift idea is perfect for showing patriotic American pride on the 4th of July, Memorial Day, or any time! You can totally customize this gift! Add text, change the color, move the design around, pick a different style - make it your own!